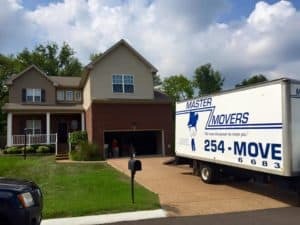 Choosing a mover can be one of the most stressful parts of your entire move. It’s important to choose the right mover from the very beginning. Here are 5 tips to make sure you do…. 1. Does the hourly rate include Everything? Okay people includes everything should actually mean it includes everything. I have recently heard stories about moving companies trying to charge extra for things like moving pads and dollies! 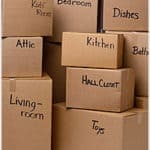 Make sure you are clear about this, your price should include everything the movers need to move you. It is why you are hiring a professional and trying to charge extra is just taking advantage of you and that’s not the kind of company you should hire anyway! Phew! Sorry, this is sort of a sore spot with me, I’m better now. 2. When does the time start? This is another sneaky way of figuring in extra cost that you should not have to pay. If you are within the same city limits of said moving company then the clock should not start until the movers arrive at your home. Period. Otherwise you may be paying for them to stop and get drinks or sit in traffic, etc. 3. Are the movers going to show up in uniform? Okay this may seem silly but think of it this way, if a company doesn’t make their movers wear uniforms then that probably means they are just employing any ole body. But if a person has to wear a uniform then they are representing that moving company no matter where they are and the company is more likely to take time and hire good respectable people. Taking care with the appearance the company makes shows that they care about their reputation. Your are on your way to choosing a mover for your move. 4. Are the trucks lettered? This is on the same note as above really. If the company has a bunch of moving trucks but they don’t take the extra expense to put their name on it, this may mean they change names often or don’t care about professionalism. After all it is a moving billboard gaining them advertisement every day, there is no good reason not to have it represent the company loud and proud! 5. Are they listed with the BBB? It is very easy for any ole Jo to go out and buy a truck and dolley and call himself a business. This is what gives the moving industry such a bad rap. If you check with the bbb then you can make sure they carry the appropriate industry license and have gone through all of the appropriate avenues to legitimately call themselves a business. I hope this information will help you select the very best mover for you relocation. There really are great movers out there who love what they do for a living. Think about it…..you get to go to a new place each day, meet new people each day, experience all kinds of situations, and get to know your way around your city really well! What’s not to love?